Dear Lightbeings, dear humans on Earth. The New Era is your time – YOUR OWN TIME. To go from a life where others have been more important than yourselves to a life where you prioritize your selves, your own feelings and your own life is a process. The process must be allowed to take its time so choose to have patience with yourselves and do not compare yourselves to others as you have no idea what their souls have in mind for them or what they previously have experienced. The New Era is the era of the soul and love. This era has come to stay for eons of time on Earth and the best you can do for yourselves and is to give yourselves time to learn (remember) and adjust one step at a time. The light of the New Era is in no way unknown for any of you. 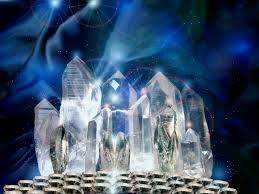 You have all lived in the light before you incarnated on Earth. The fact is that you never left this light, just lowered your consciousness level to experience the dark and the fear as a contrast to the light. The Universe consists of energy and all of this energy has different frequencies – like a piano with many keys with an array of tones, light, dark, minor key and major key, to give you an understanding of the fact that dark energies, of which many of you have been afraid, in truth is not anything else than a variation of energy, just as the pianos many different keys: Music cannot be created without different types of varying tones and Life cannot be created without different types of energy. With this I would like for you to let go the fear that you in the old time have been misguided to feel for the low frequency energies in the Universe. In the New Era you will remember that you all is your own Universe (in the Universe) and that you within this Universe have all the variation of energy that we have described above. In the New Era you will raise your consciousness and acquire and revised picture of what you have been and experienced in your life up till now. You will remember that you chose to lower your consciousness to the lower energies in yourselves because you wanted to experience a variation to the light you were in when you made your decision to come down on Earth in human form. All humans on Earth have made the same choice. The souls of all humans are of the light and have chosen to experience a variation to it. When we call you light beings it means that you are among the first incarnated souls to raise your consciousness back to the light while many other souls have chosen to remain in their consciousness in the energy of darkness for some time. Those souls who have chosen to keep their consciousness level at a low frequency of themselves will not be aware that you have moved your consciousness up to a higher level of the energy of your Universe. This is why they cannot understand why you suddenly have changed and stopped playing the human role that you have played up till now. By respecting other’s choice of cycle of incarnation life will be less complicated for you. The old perspective that those who continue living at a low consciousness level are not of the light falls apart and your fears lose their grip on you. This does not mean that you as a human should not protect yourselves against those who subject others to crime and other low frequency deeds. It just means that you can let go of the belief that these people need to be rescued by you and that they need your help to remember the light. You are all at the exact choice of experiences of your soul so let those who experience low consciousness be exactly where they are without judging them. The life that you now are experiencing as a human is only a little part of the life that your soul right now is experiencing. One could liken the soul to the trunk of the tree and the different lives the soul lives in different places in the Universe as the different branches of the tree. The branches that exist furthest down on the tree are unaware of the fact that other branches exist above it. They are also unaware that they are connected with a trunk, that they have grown out from the trunk and that they are part of a whole tree. In a similar fashion have many humans on Earth earlier and still been unaware of the fact that they belong to a soul and that soul’s energy is branching out to several different lives at the same time, and that all of these lives belong to the existence and life of the soul. Many of you souls are right now incarnated with part of your souls energy on the ships that circulate around Earth in order to help her with the ascension of your consciousness. These loving and high frequency beings have always been aware of your existence as humans, but you have not been aware of their existence and all the help they provide you with. The fact that you are raising your consciousness as a human will not impact the life that you are living now. It will impact your soul and make it richer in experiences than before. It will gain new perspectives on itself, which contributes to a more wise soul than before. In the consciousness of the New Era you regain your power of love and you remember how you consciously create your lives. You will remember that you should live through the heart, which means that you in truth will make the choices, which in truth are in harmony with the love in your soul. Your energy as a human will change and you will attract a new physical reality to you, which is based on all things good you can think of – like attracts like. You will feel a strong pull to things that raise your life energy and gives you joy. You become loving and happy. 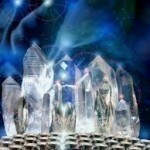 There are large amounts of information that is ready to be guided down through various channels to your Earth. Those of you who feel drawn to trying out bringing down parts of the light’s information through your channel are encourage by us. Start with single words or short sentences to yourselves. If the information feels loving to you you are on the right path. We are here to help everybody and we look forward to encountering you. Look for a connection with us and we will come to your aide. With love in my heart I wish you a fantastic day.